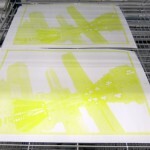 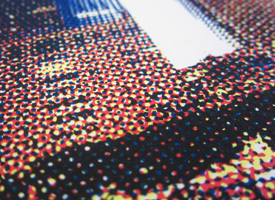 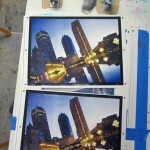 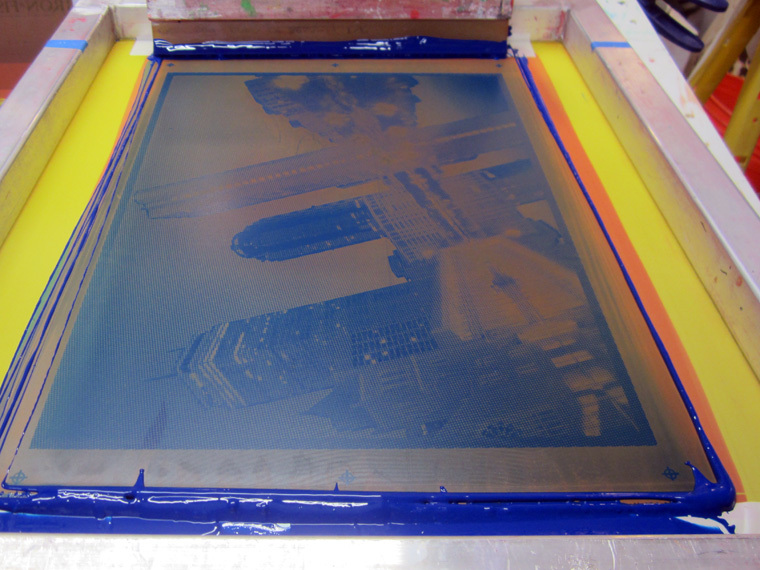 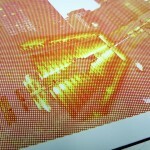 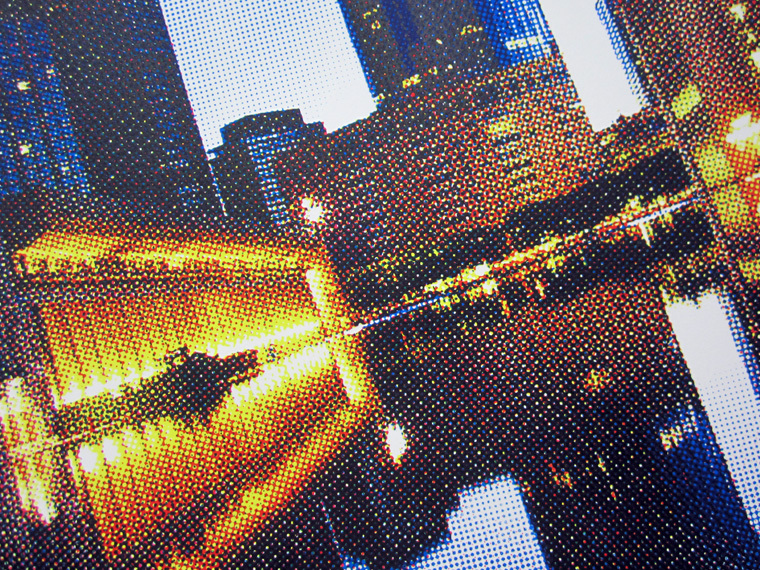 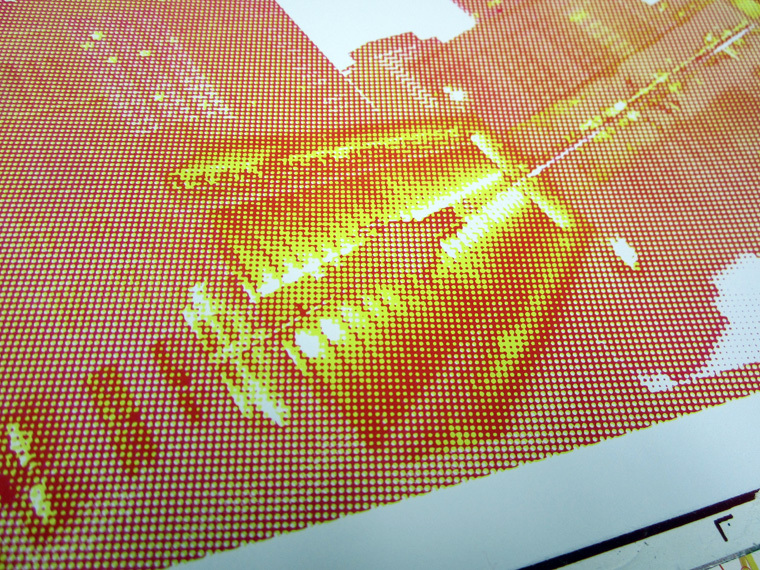 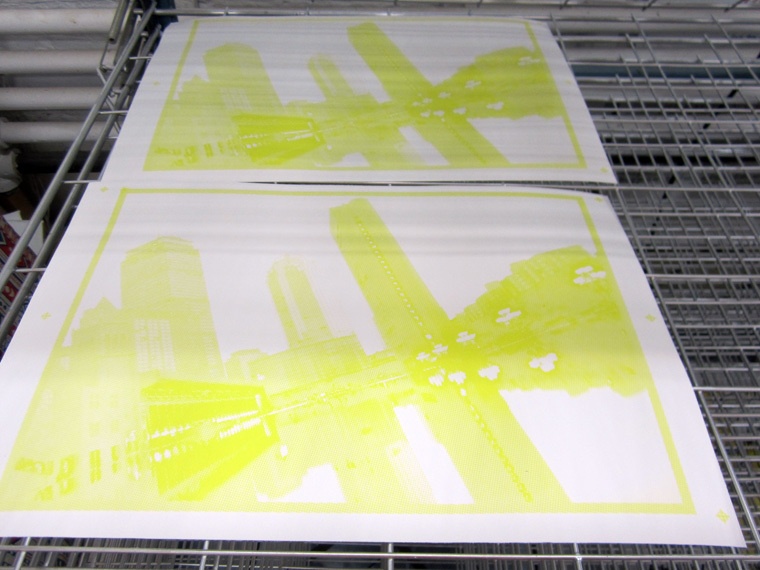 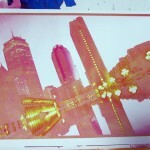 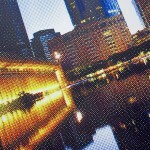 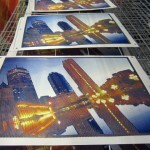 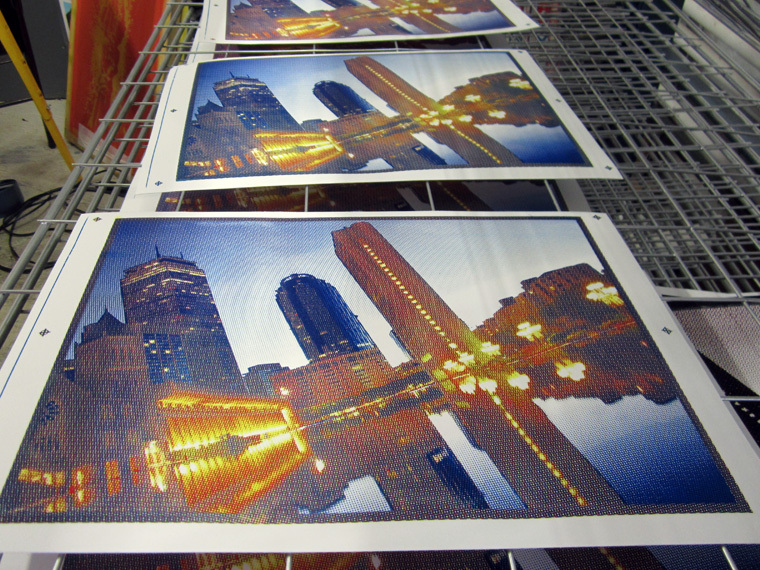 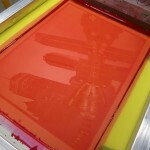 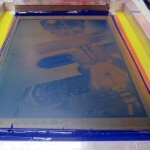 4-color process printing is something every printer drools about as they learn how to screen print. 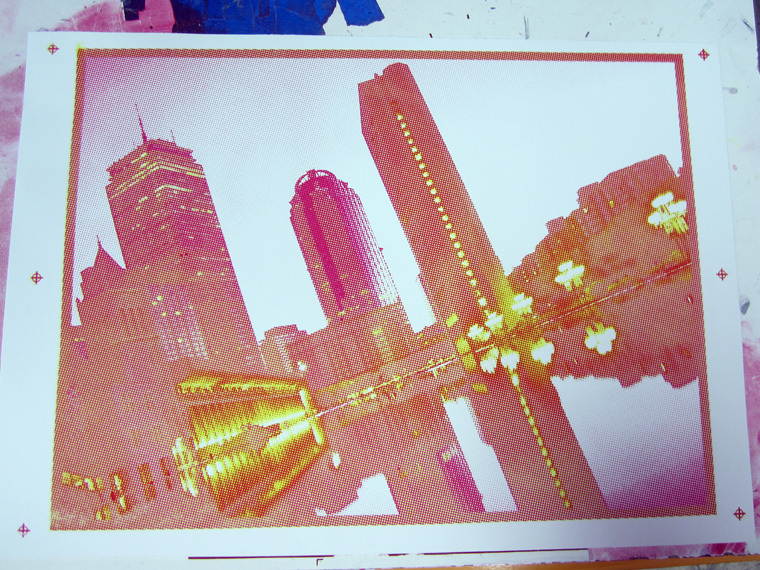 The general gist is you use Cyan Magenta Yellow K-black inks overlapping each other to create a full color image. 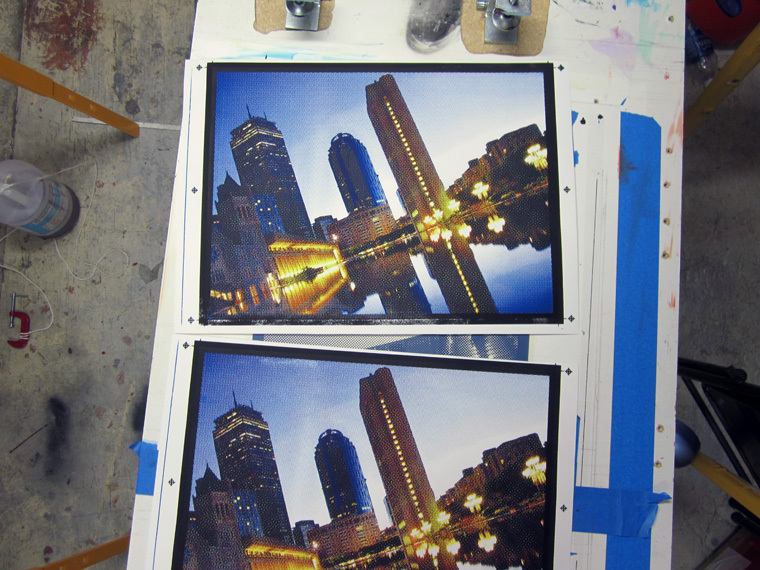 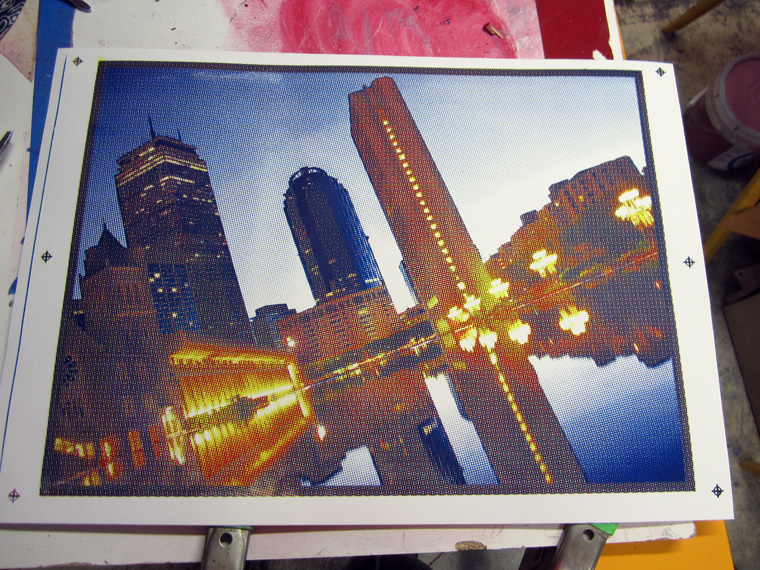 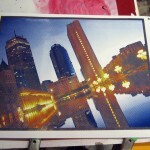 Many years in the making, and after one complete fail attempt, we successfully created this 16×12″ 4-color process print of a photograph taken at Boston’s reflecting pool in the Back Bay. 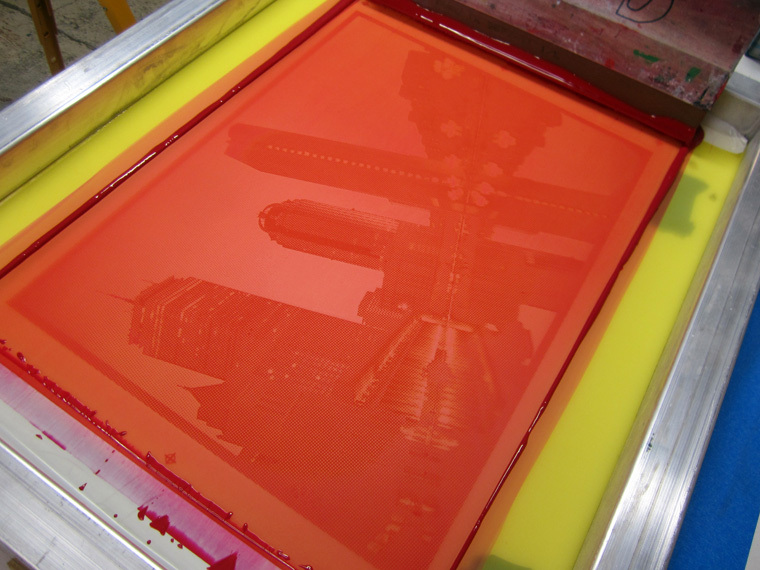 Below are some process shots taken during the creation of the print, which is available for purchase in the art print section of our store.